Tomorrow, on 28 March, Aalto University is organizing Open GLAM meetup to connect students, professionals, and creative people with the GLAM community (Galleries, Libraries, Archives and Museums). The program includes fascinating topics about reusing and sharing open cultural heritage data. Join us: 28 March 2019, 3pm-5pm, Aalto University Learning Centre! 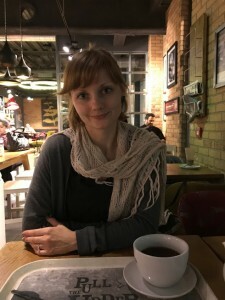 More info on the AvoinGLAM website which is a Finnish network of people and institutions interested in and working among open culture and cultural materials. It is part of an international OpenGLAM network. 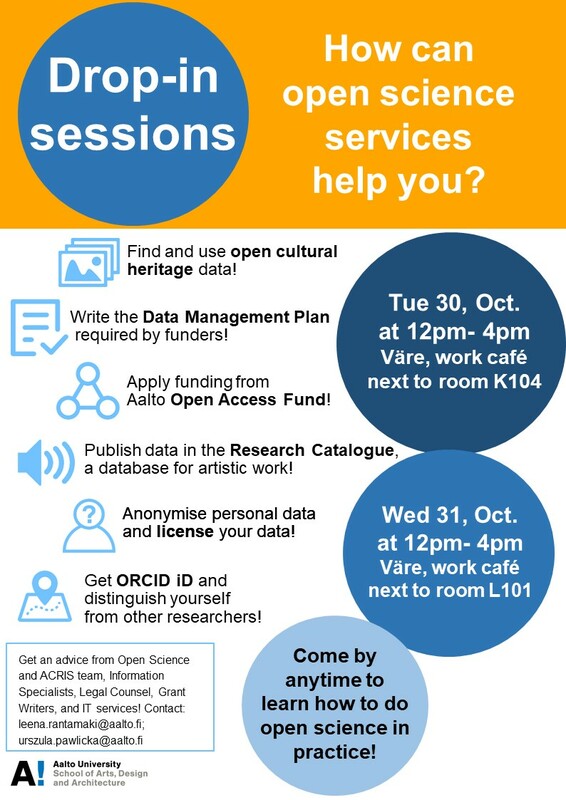 I am co-organizing two-day drop-in sessions about open science and research data management at the School of Arts, Design and Architecture of Aalto University. You are welcome to join us and learn how to make your research and artistic outputs more visible and boost your academic career! How to comply with your funders’ and university’s requirements about open access publishing and data management. How to find open media on the web and how to define Creative Commons -licences you need. How to share code, publish data in the Research Catalogue, get more citations. How to apply funding from Aalto Open Access Fund and other funders. How to write the Data Management Plan (DMP). How to get an ORCID iD and distinguish yourself from other researchers. Get to know open access in practice, e.g. the local tools and services we provide you.